Found 57 file extension associations related to PhotoFiltre Studio and 4 file formats developed specifically for use with PhotoFiltre Studio. PhotoFiltre Studio is a complete image retouching program. It allows you to do simple or advanced adjustments to an image and apply a vast range of filters on it. It is simple and intuitive to use, and has an easy learning curve. 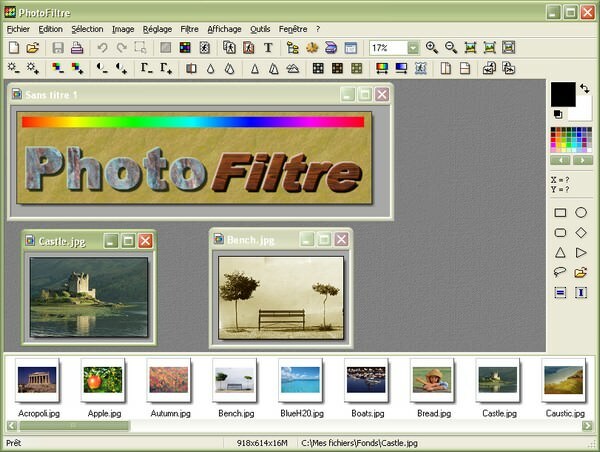 The toolbar, giving you access to the standard filters with just a few clicks, gives PhotoFiltre Studio a robust look. If you need more information please contact the developers of PhotoFiltre Studio (Antonio Da Cruz), or check out their product website.